The fourth villa built for the family (after the Villa Cafaggiolo, the Villa di Trebbio and the Villa Careggi the Villa Medici (or Belcanto, or Palagio di Fiesole) was long attributed to Michelozzo for Cosimo il Vecchio, until a new study in 2004 showed it to be the work of Leon Battista Alberti, commissioned by Cosimo's second son Giovanni. It would be the prototype for the classic Renaissance villa, according to Alberti's own concept of a villa suburba. Unlike its predecessors, it had a garden and a view, but no agricultural estate. 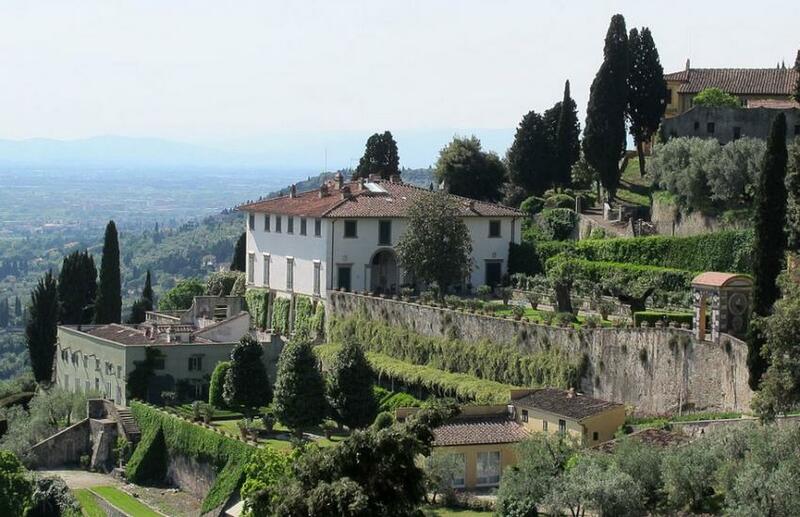 Unlike the previous three Medici villas with their fortifications, the villa in Fiesole is simple, beautiful because of its proportions and harmonious setting in the landscape. Walls are white; square windows are lined in pietra serena; loggias look out over the beautiful gardens. After Giovanni's early death, Lorenzo il Magnifico took over the villa. It was here that his friends Marsilio Ficino and Giovanni Pico della Mirandola of the Platonic Academy would come to get away from the world, when they weren't meeting at the Villa Careggi. The Medici sold the villa in 1671, and 1772 was sold to Lady Orford, the sister-in-law of Horace Walpole, the first of the Anglo-Italian owners. It later became property of painter and art-dealer William Blundell Spence; in 1911, the new owner was Lady Sybil Cutting, mother of Anglo-American writer Iris Origo (1902-88), who spent her childhood here and became a close friend of Bernard Berenson in the nearby Villa I Tatti.